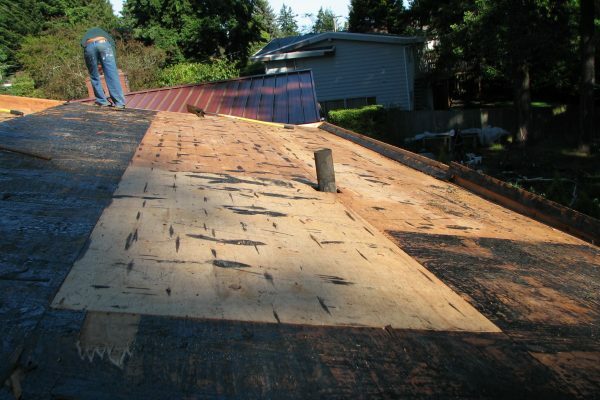 The old roof is torn off. 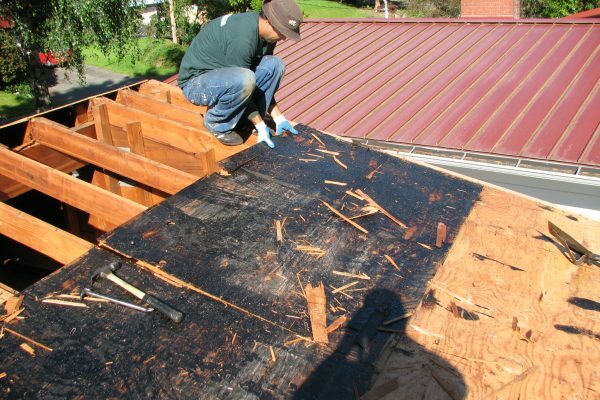 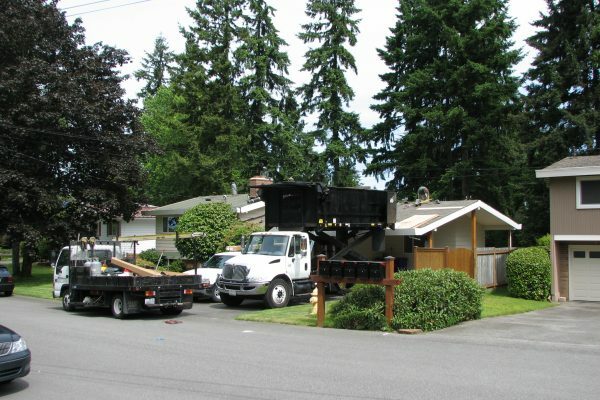 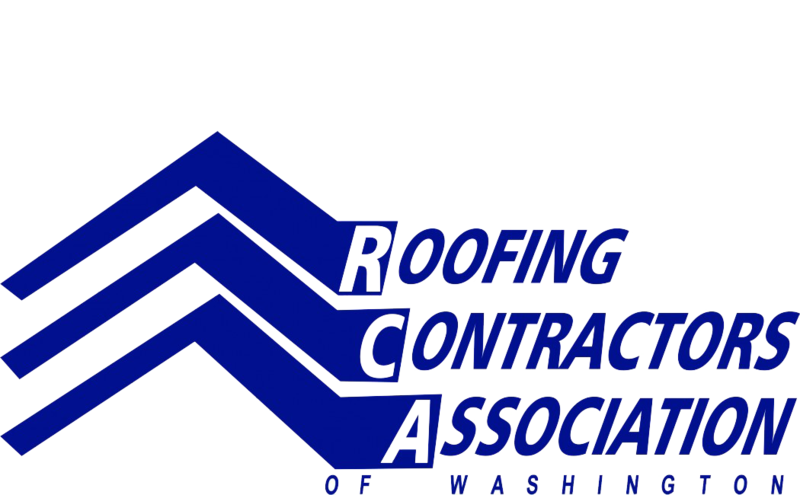 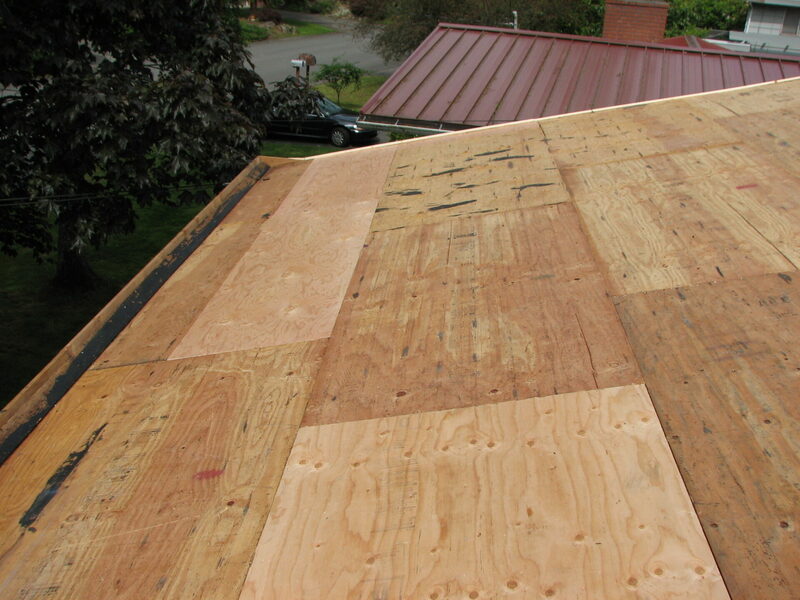 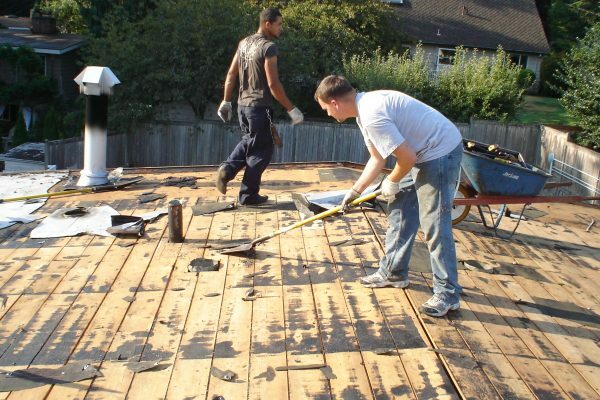 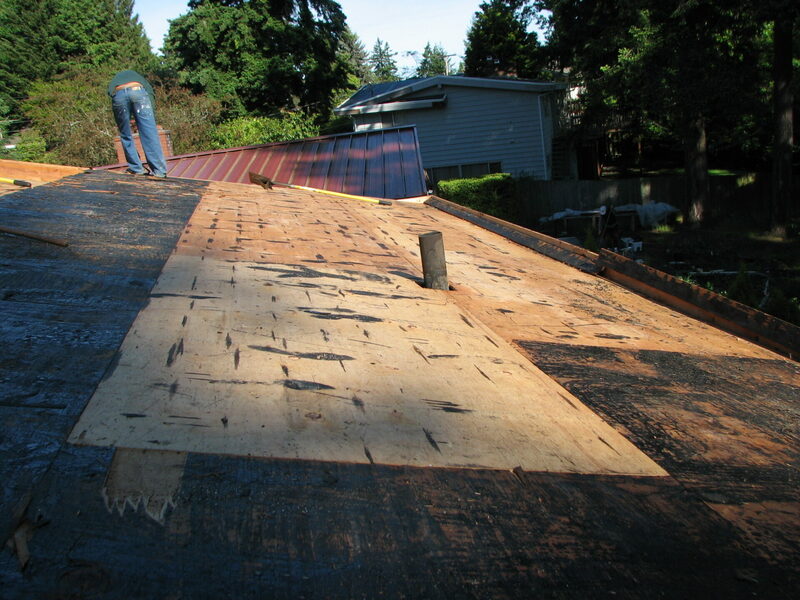 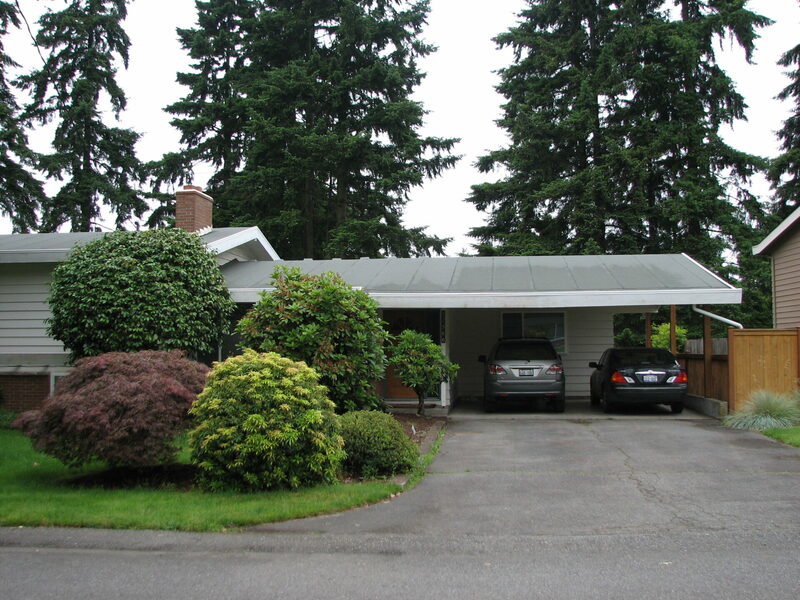 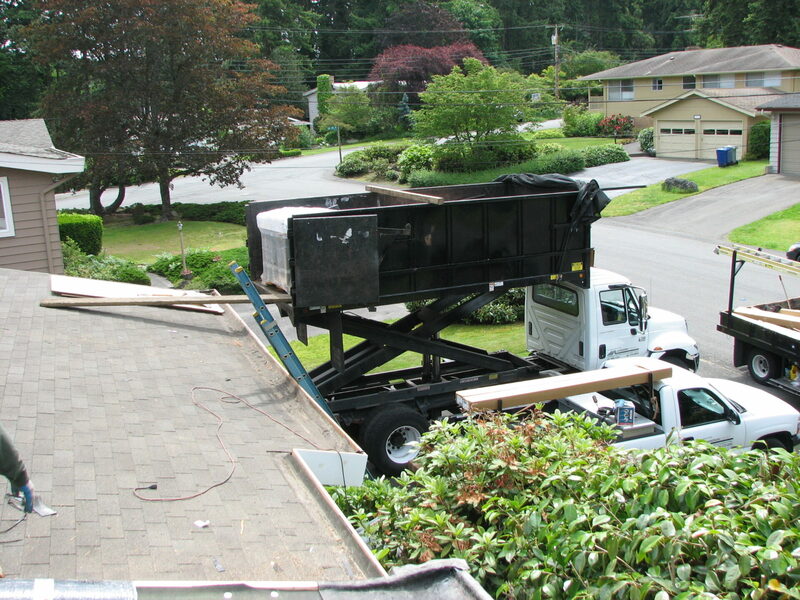 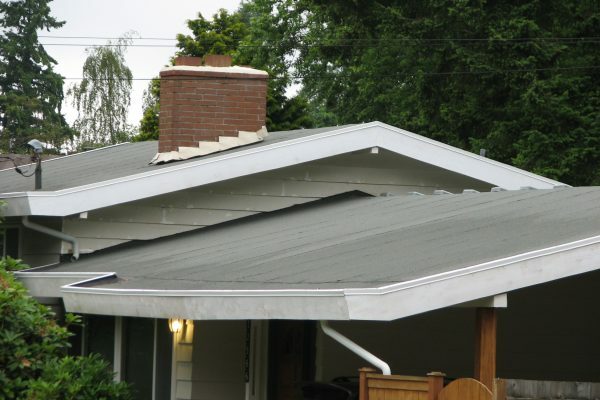 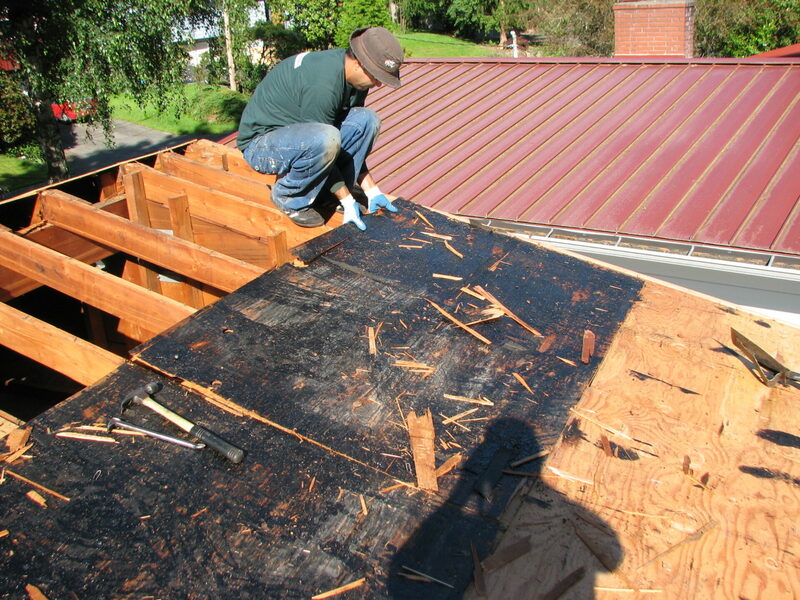 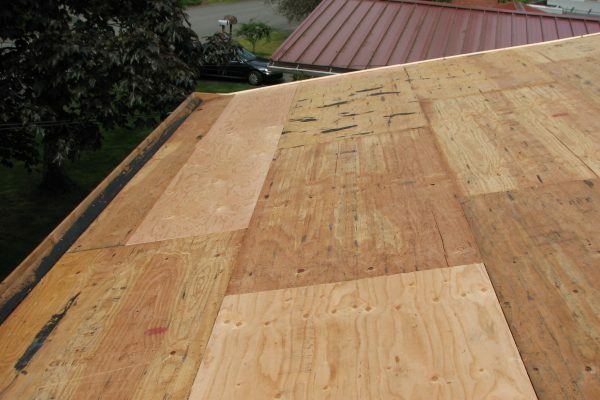 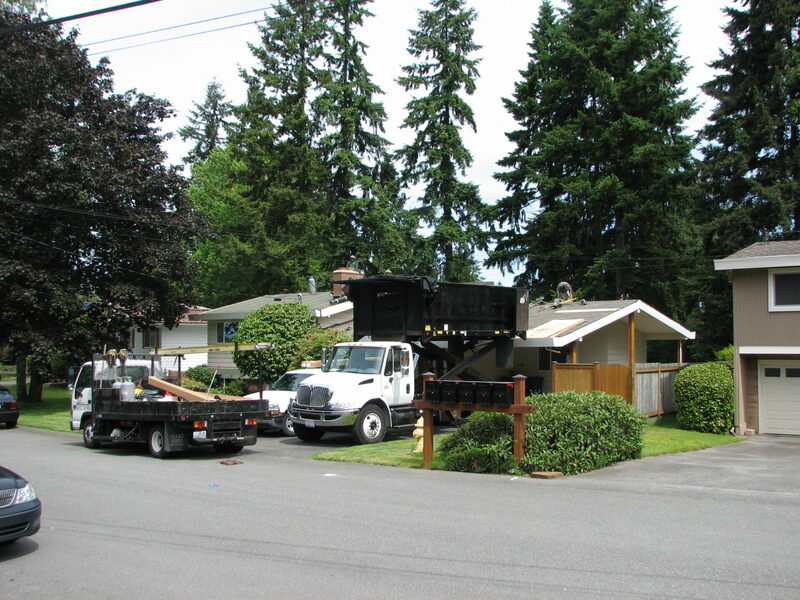 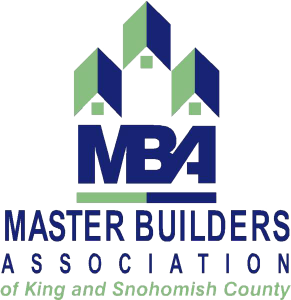 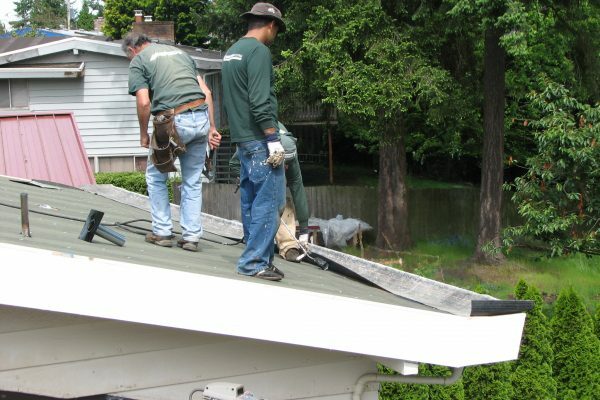 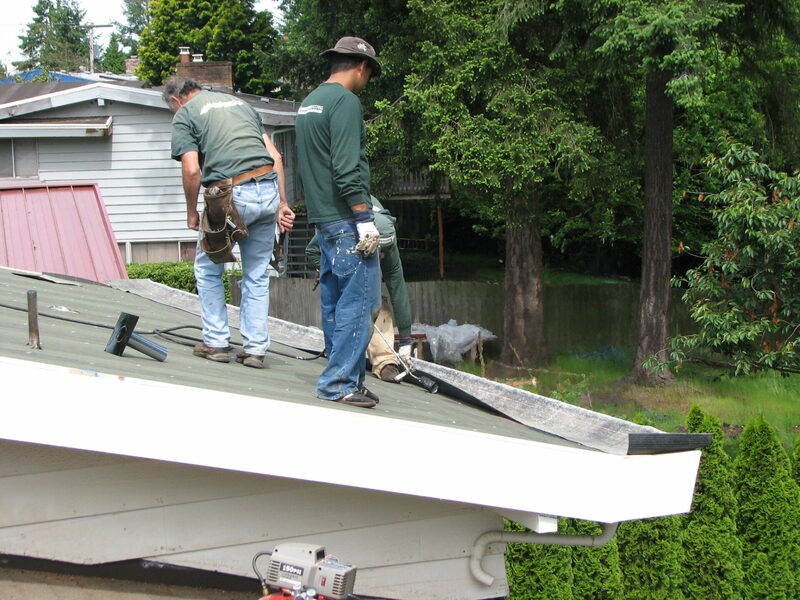 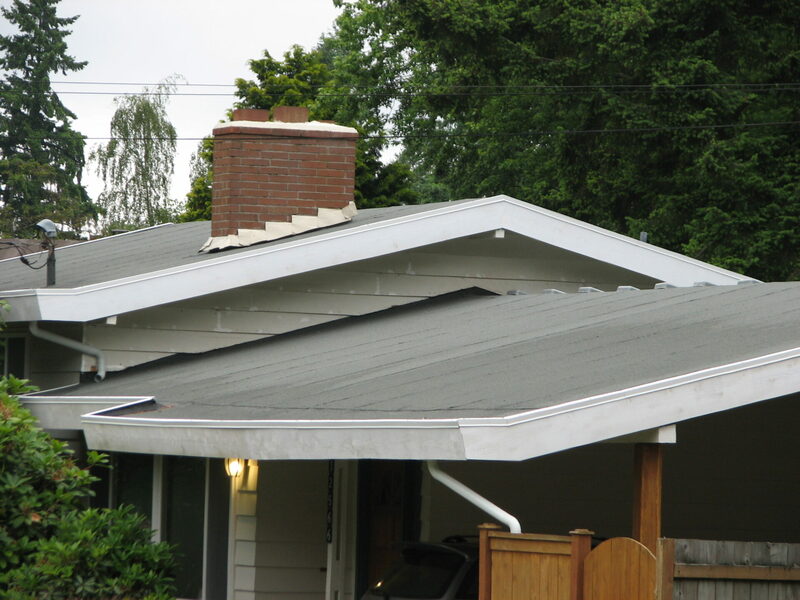 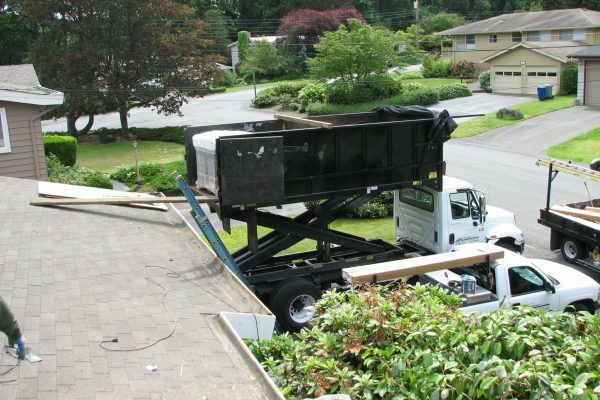 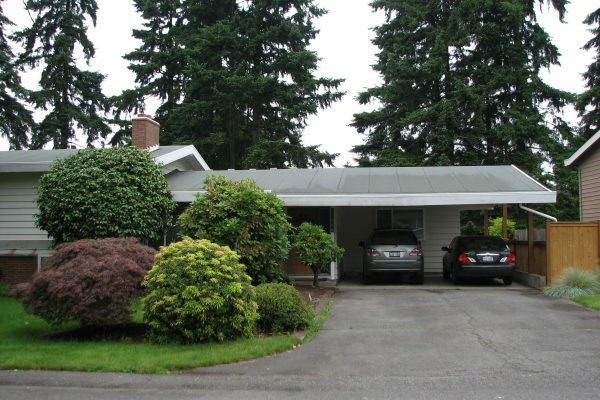 Rotten or delaminated plywood is removed and replaced. 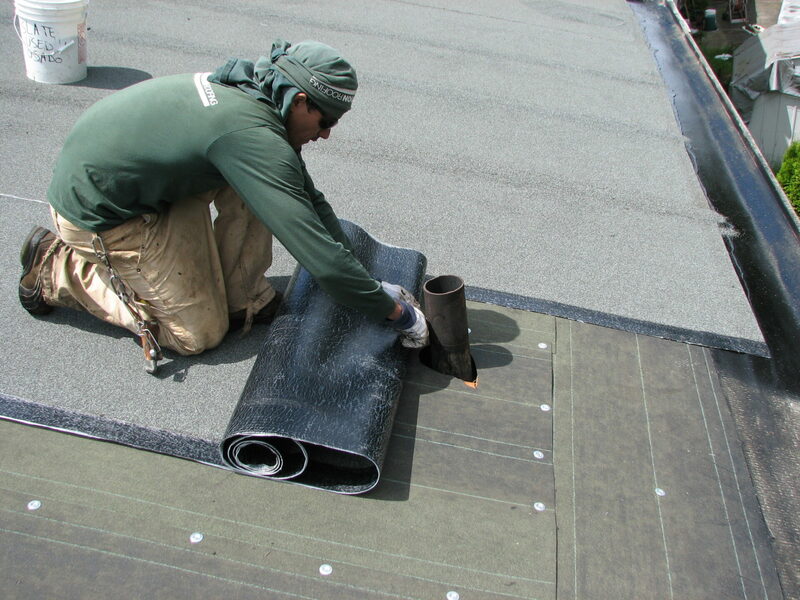 Fiberglass base sheet is then rolled out and carefully nailed down. 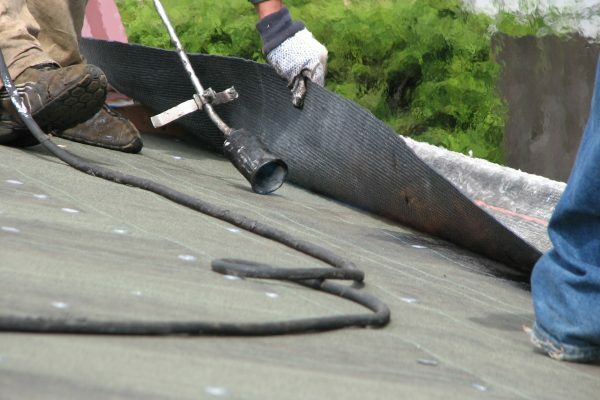 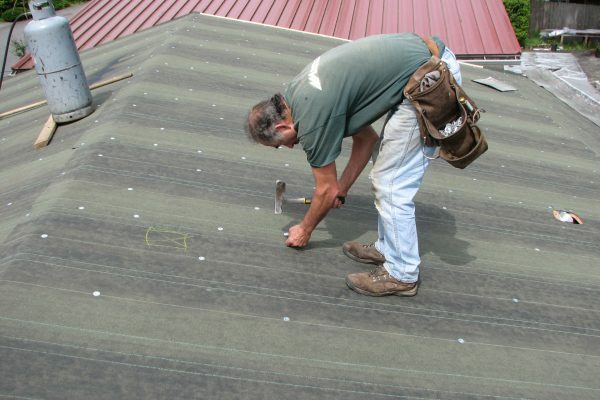 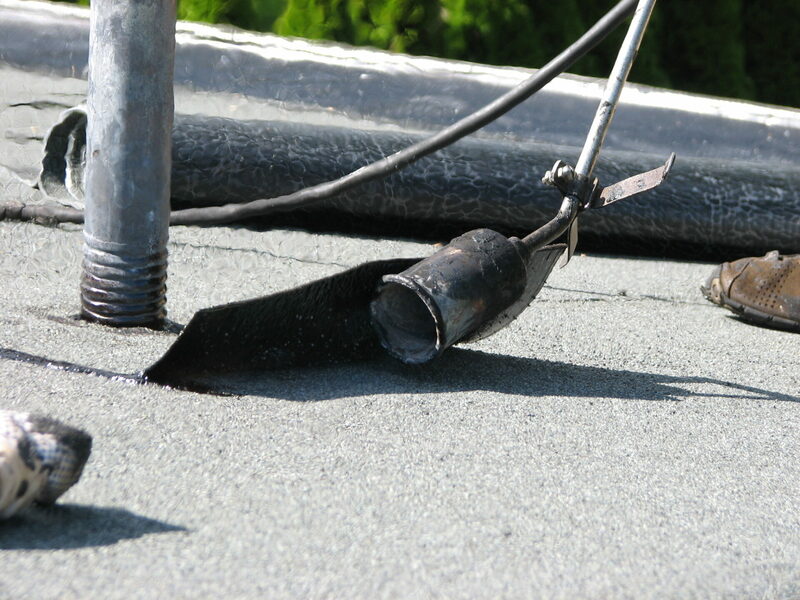 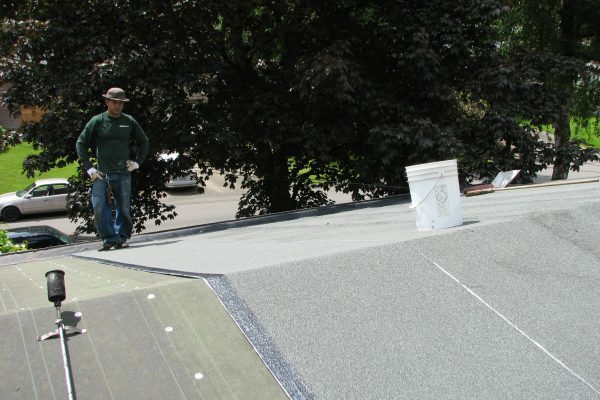 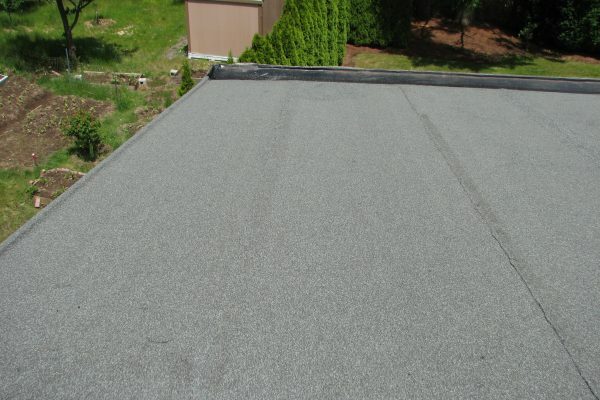 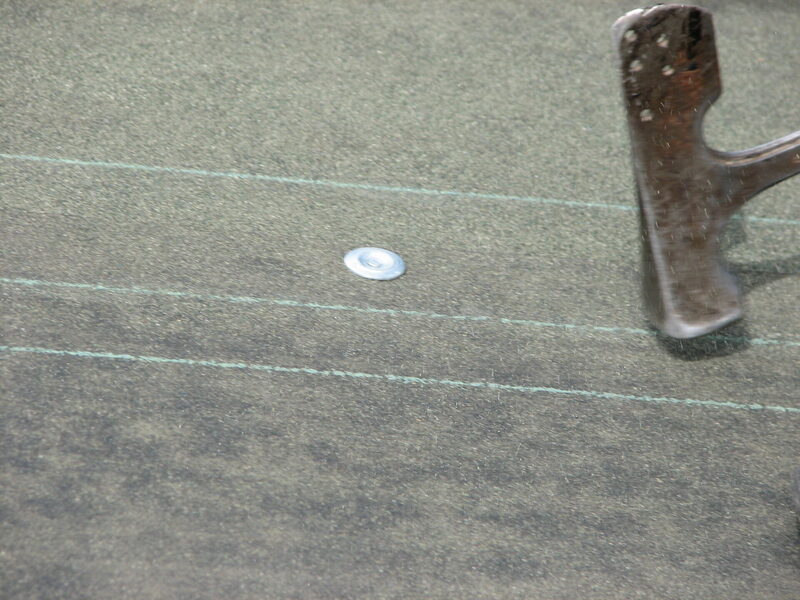 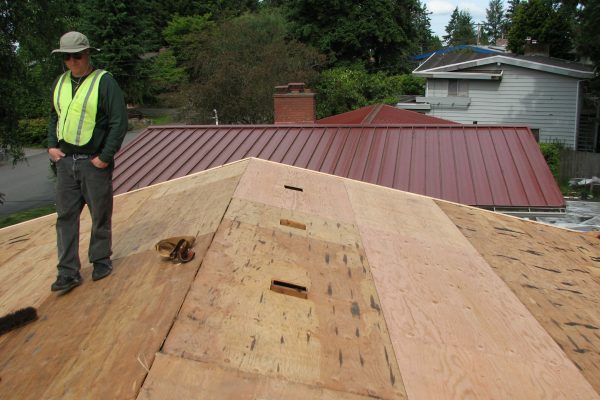 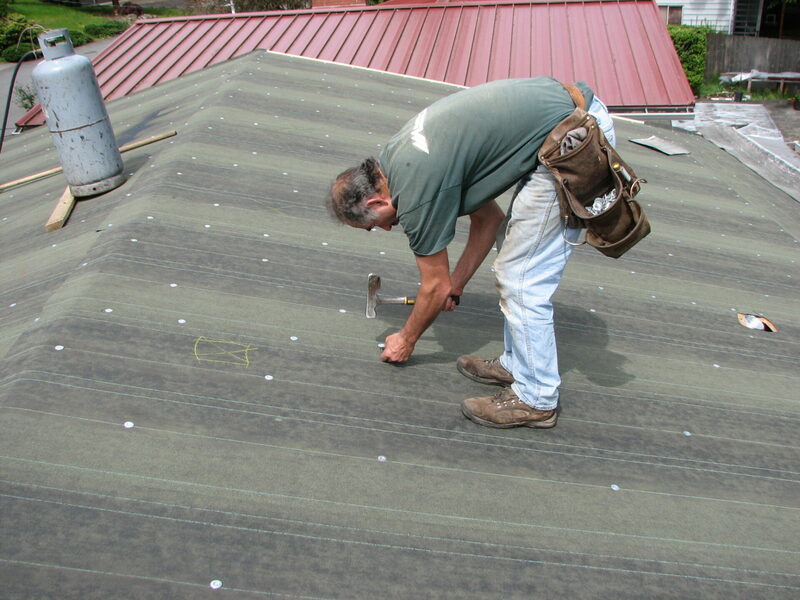 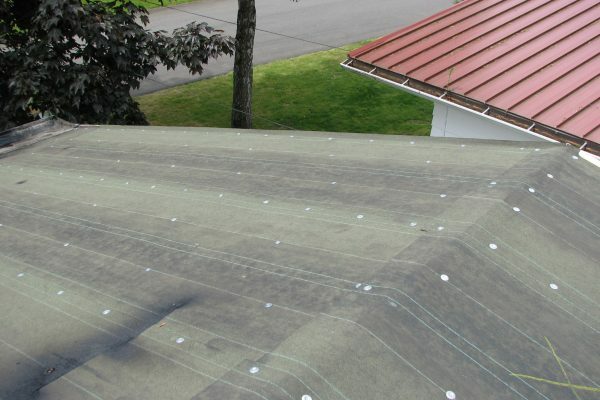 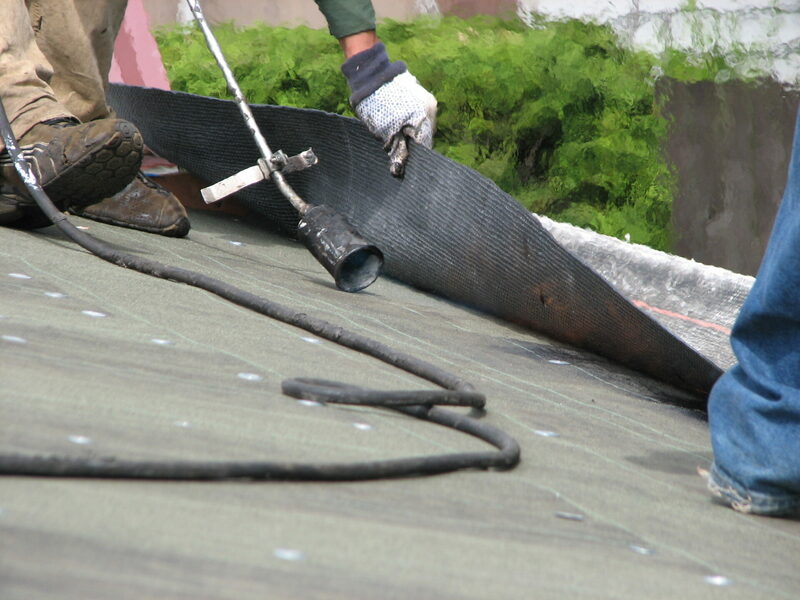 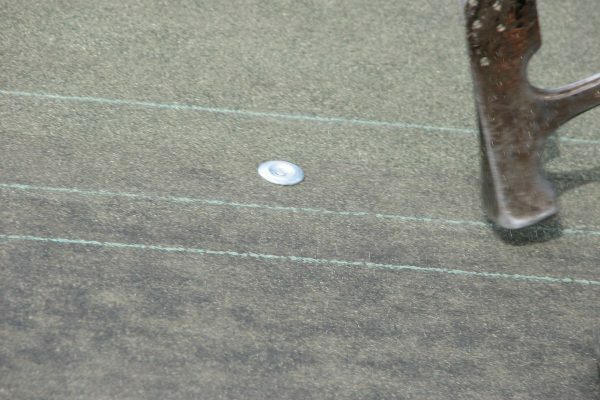 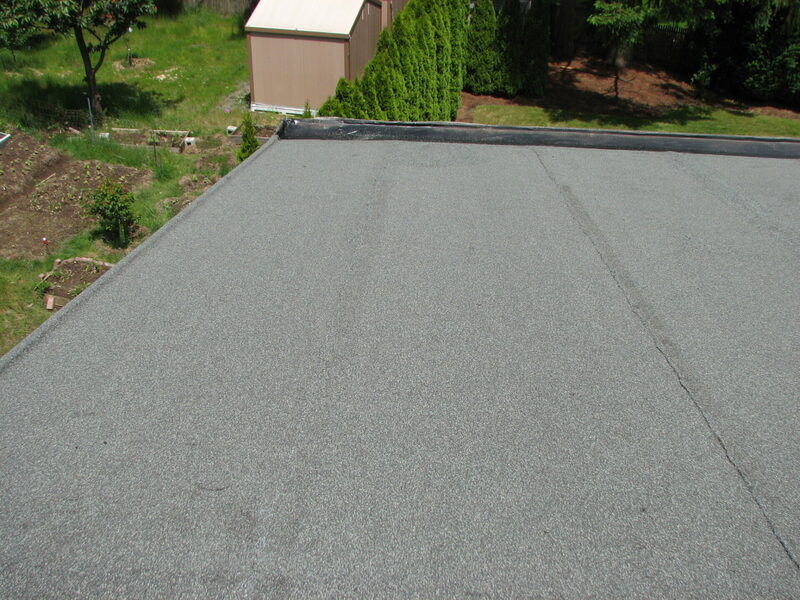 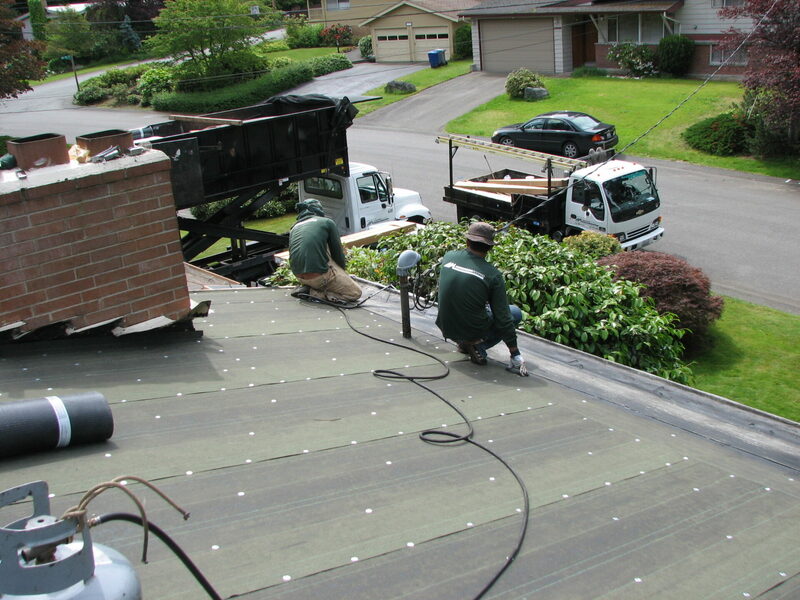 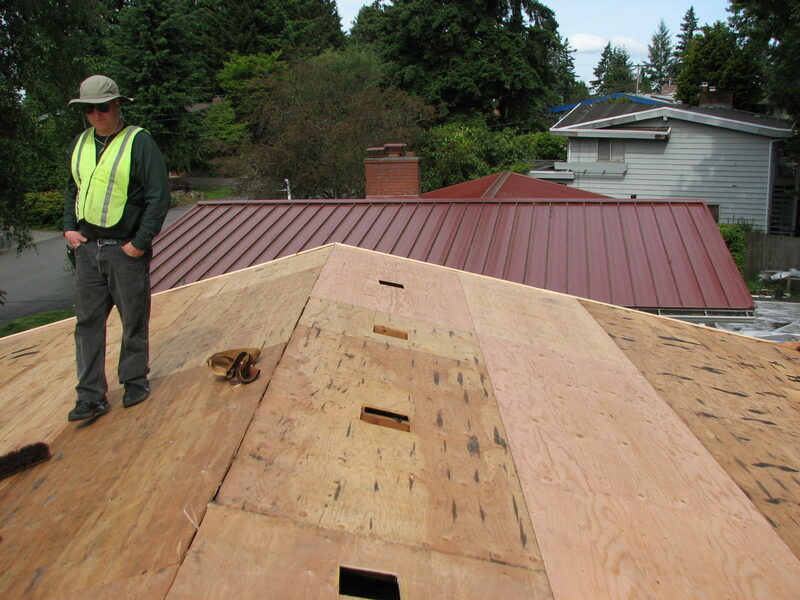 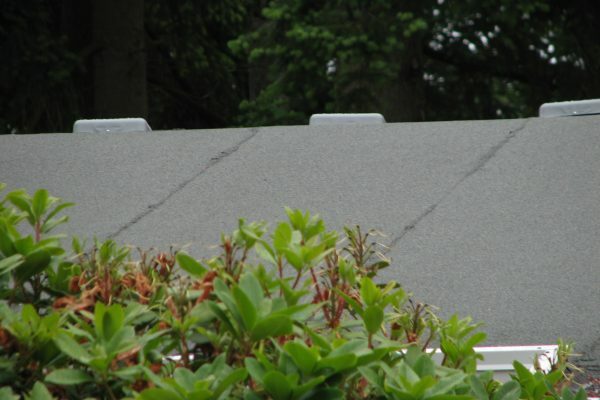 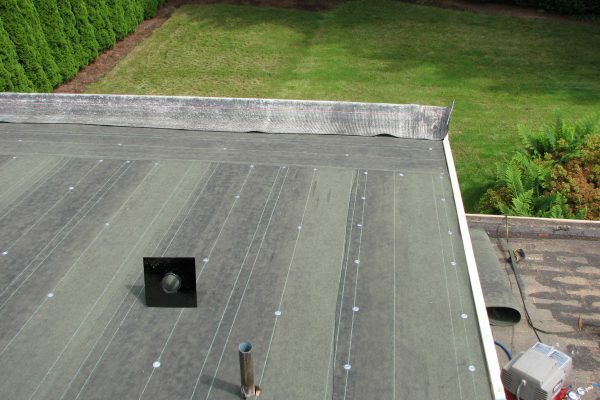 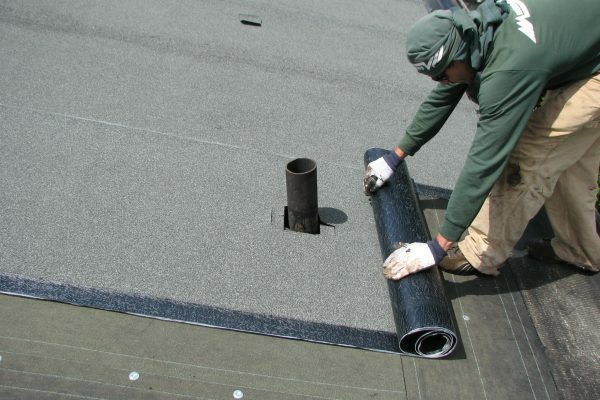 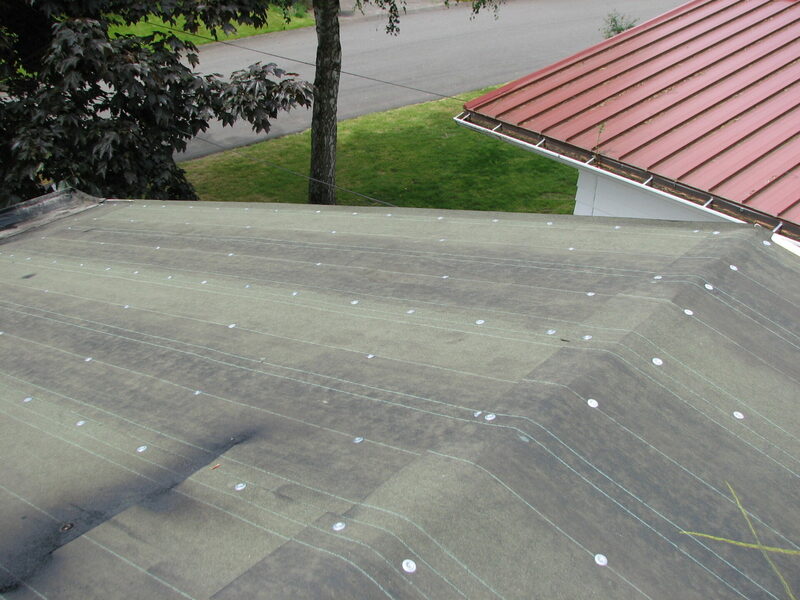 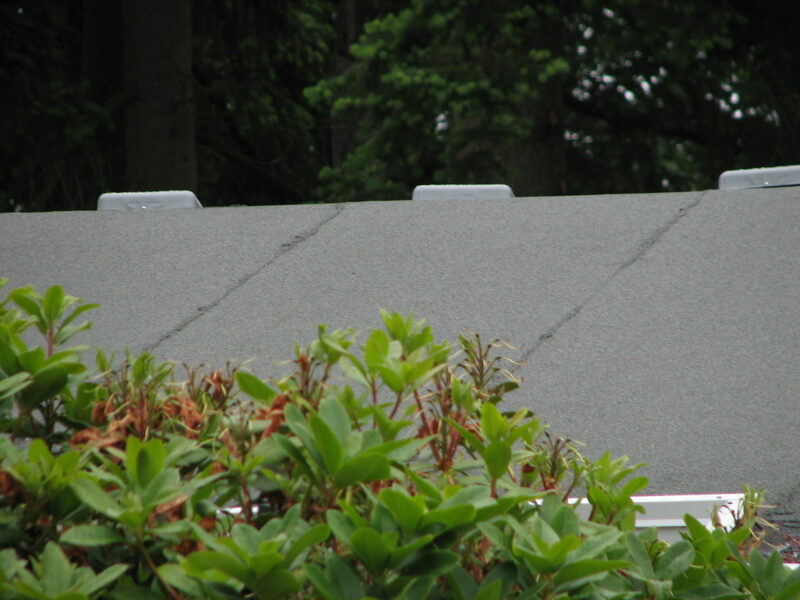 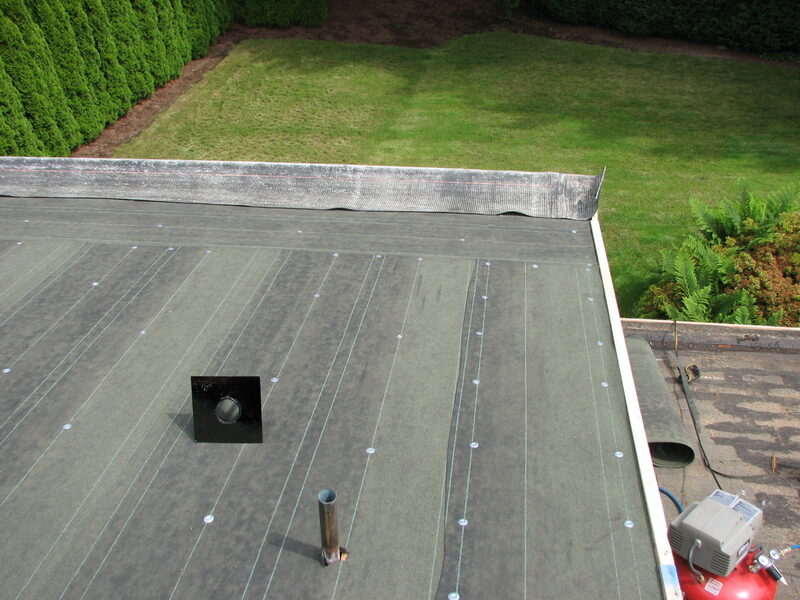 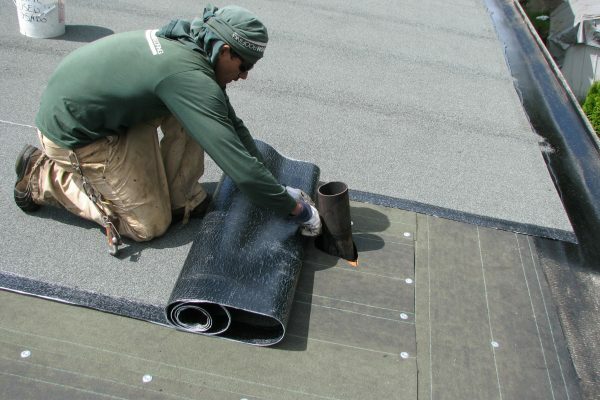 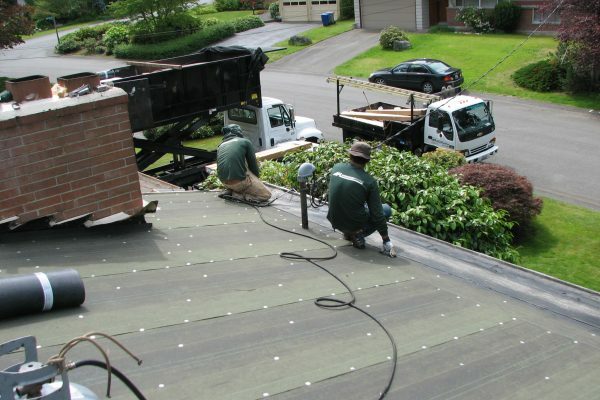 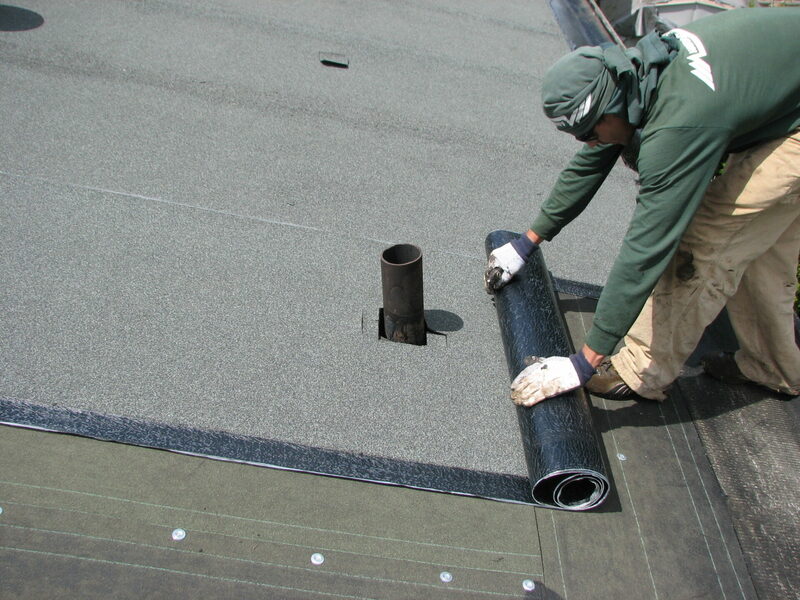 Granular torch down is rolled out and installed on the rest of the roof surface. 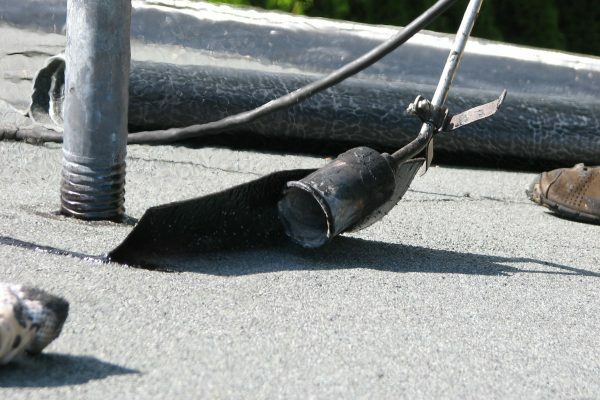 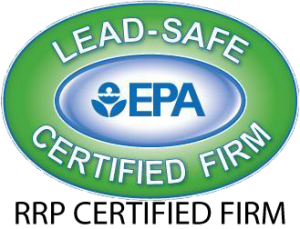 Careful attention is paid to areas around drains and vents.